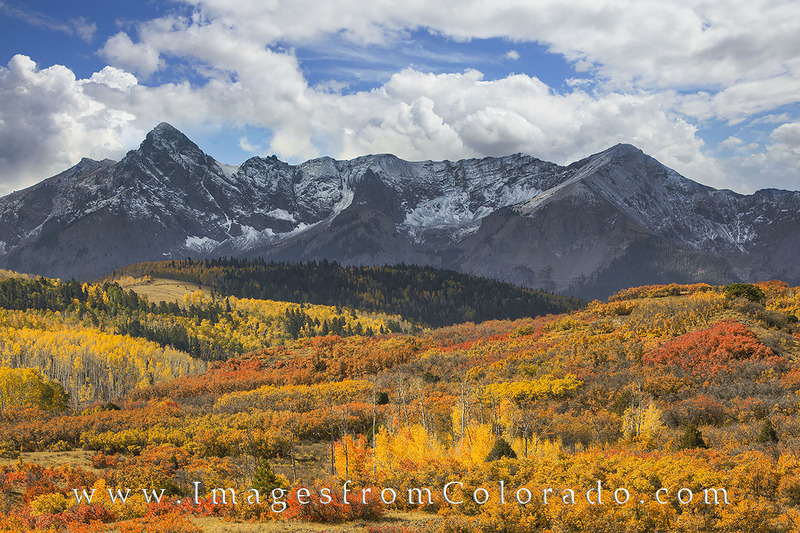 Autumn colors come alive at the Dallas Divide about 12 miles west of Ridgway, Colorado. This location is one of the iconic areas to capture the changing of the aspen and other shrubs. With the backdrop of the San Juan Mountains, this is a beautiful sight to behold for a few weeks each Autumn. Photo © copyright by Rob Greebon.